The purpose of Two Book Retreats is to show you Nature and its Artist. 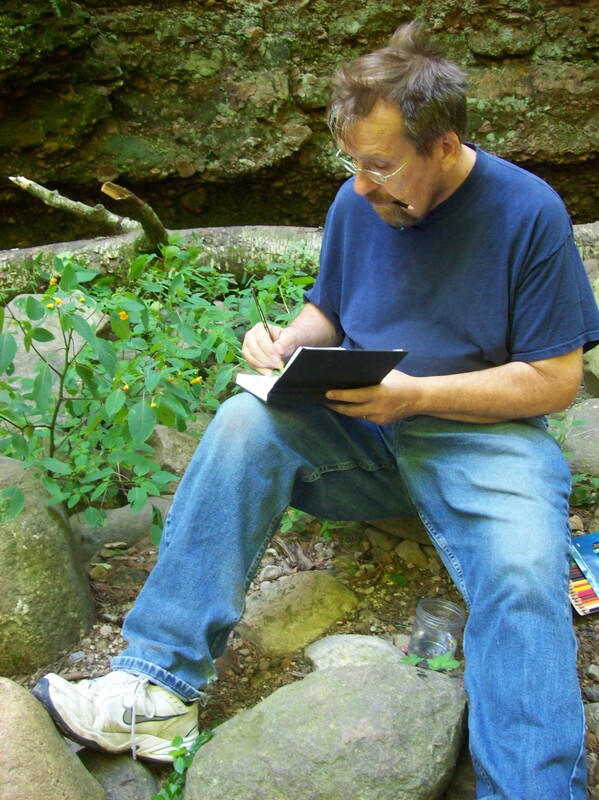 Each offering from Two Book Retreats will help you observe the nature by means of art and scriptural reflection. Our events will relate to these three areas. Nature, by which we mean all of the natural world around us. Art, which we define broadly, including the disciplines of seeing and expressing in varied styles, materials and levels of ability. Dave Carlson are Parfrey’s Glen in Wisconsin.